How are you doing? I'm doing alright. On Monday my daughter, mother and I went to to Ribfest over here in Toronto and it was sooooooo good! That was my first time going and I can't wait to go again next year. Today I'm went swimming with my daughter so I figured that I would try and get this up on the blog before we left but that didn't end up happening hence why it's going up now! Today I have this very BRIGHT neon design to share with you. Okay so there are no actual flames or anything going on but since I couldn't think of a name to call this design I decided to combine the names of two of the polishes that I used for this design :). Enough of my blabbering let's take a look! These colors together are so blinding it's ridiculous. I know most people would probably be like yuck why would you choose these two colors together but I have logical reasoning behind this madness which you will see at the end of this post. I also kinds like how these look for some strange reason LOL. I'm starting to slowly have an okay relationship with striping tape again. But we shall see how long that will last for. 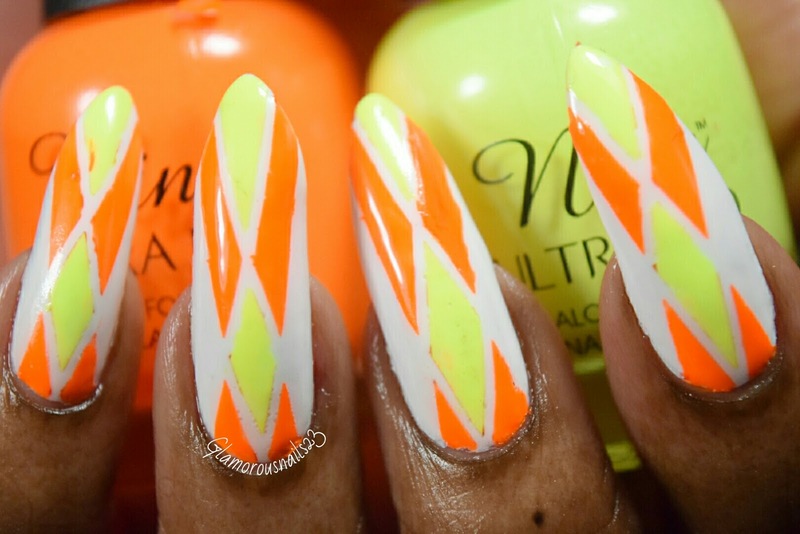 Of course with as always with neon's my camera was tripping out trying to capture the accurate color of these polishes! TA DA! See I told you that there was logic behind my madness. Look it glows! 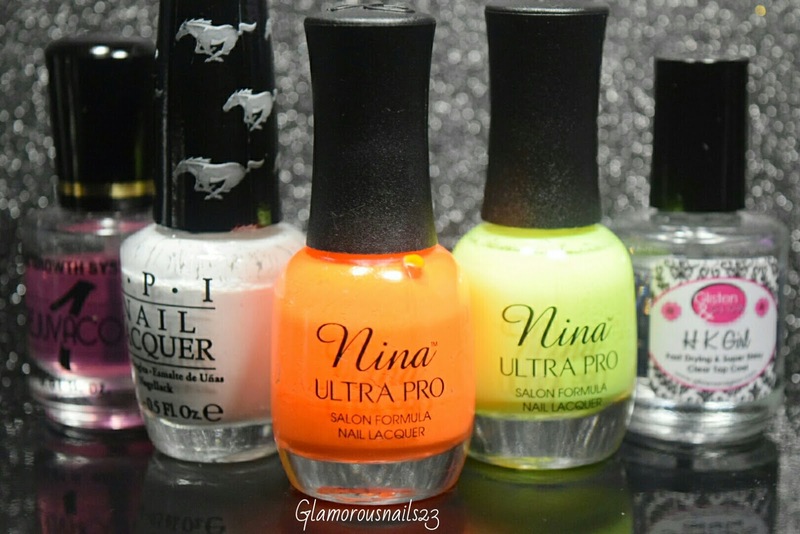 In all honesty don't be surprised if in the future you see more posts with glowing polishes okay! I just love them! You can't tell me you don't like them either! I mean look at it! What do you think of this design? 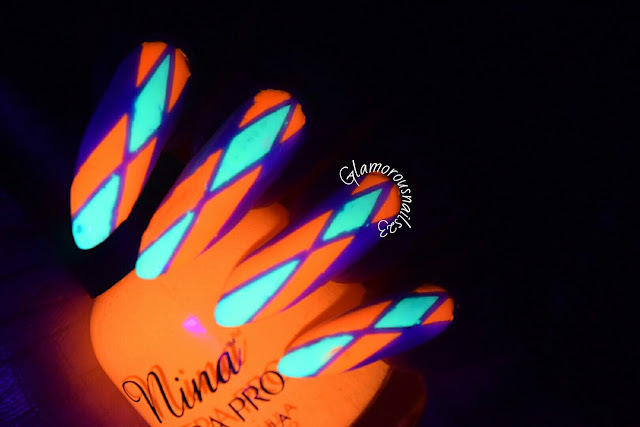 Do you love glow in the dark polishes as much as I do? 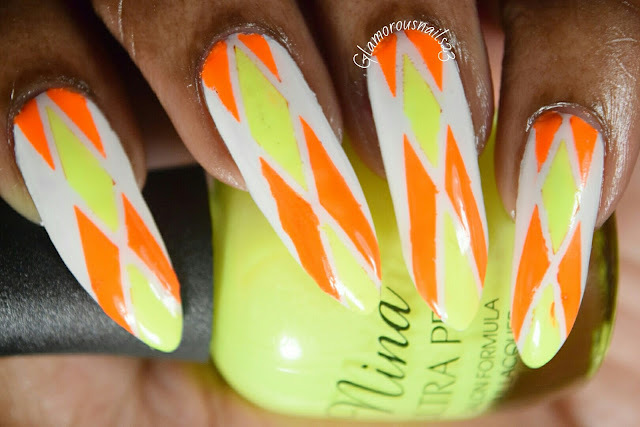 Do you love neons? 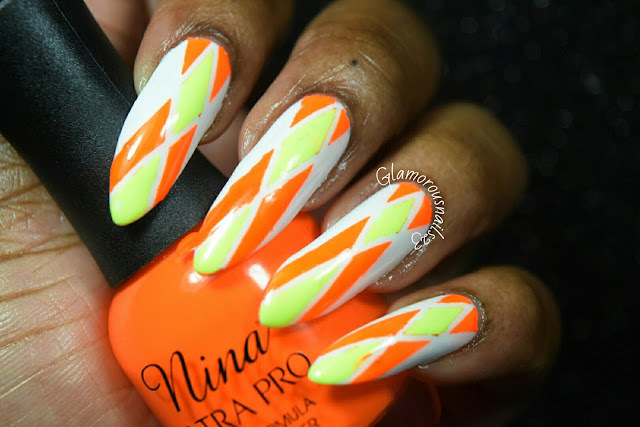 Have you ever tried any Nina Ultra Pro polishes? Let's chat polish down below! This is awesome! And I love how it looks GITD!! !